If you’re someone who rarely uses his or her landline, there are still many ways to get online as well, without even paying for the same. There are various solutions that you can follow and therefore you can finally decide on which procedure suits you the best. But, before you delve into the subject, you first ought to know the pros and cons of getting broadband without paying for a landline connection. There will be no landline bills. There will be more flexibility. There will very less cold callers trying to disturb you. You will not have a landline number. There will limited options for broadband providers. It can be more costly. Now that you know all about the pros and cons, it is time to let you know about the options that you can have at your disposal. FTTP or Fiber To The Premises – This is the more expensive out of the two, but you will get separate fiber optics connection to your home, and you will also get superfast broadband speeds as well. Availability can be a key factor here and you have to make sure that you get the best possible service. FTTC or Fiber To The Cabinet: In this process, the fiber optic cable is connected to the central cabinet of your main street, and you are connected to the broadband service by a phone wire made out of copper. The cost will be less but you will also get lower broadband speeds as well. 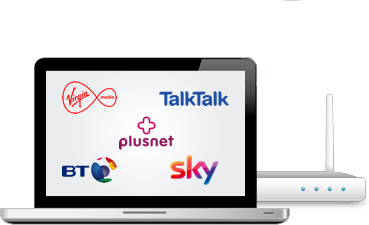 If you want a cheap and a flexible way to get broadband into your home, without paying for a landline, then this should be your pick. But you do have to deal with data caps and also sometimes lower speeds as well. It mainly works by connecting your desktop computer or laptop to the mobile internet server, via means of a USB dongle. So, if you use much less internet and don’t care much about speeds, then this can be your gateway for low-cost broadband plans. But if you game or watch online videos a lot, then this will not be a wise decision. The last one on the list and this works by fixing a satellite dish on the roof of your house, and the signal is received directly through the dish antenna. The speed will be slower than fiber or ADSL internet. This can be a great option for mainly rural places, where you don’t have many options to work with.